School’s out for the summer and that means you need to find new activities to keep the kiddos busy! You don’t need to sweat it, we’ve got you covered. Grab the kids and hit these seven attractions in Jefferson City that are sure to keep the whole family entertained! This center offers visitors the chance to do some exploring inside as well as outdoors! Inside, there are more than 3,000 square-feet of exhibits that will give you an extensive look at Missouri’s natural habitats. You will find a 3,580-gallon fish aquarium, live amphibians, and reptiles (yikes! 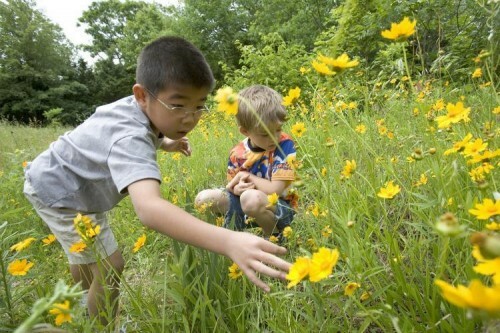 ), hands-on activities for youth, an indoor wildlife viewing area, and a nature library, along with many other displays. Outside, you have the opportunity to explore more than two miles of hiking trails. Looking out over the trails is a scalable 30-foot fire tower that offers a gorgeous view of the surrounding area. Who says the local library is just for residents and bookworms? Visitors to Jefferson City are more than welcome to attend any of the fun programs hosted at the Missouri River Regional Library, the city’s public library. The staff is continually bringing in exciting programs like the LEGO block building parties or Pokémon card duels, so there is something for everyone in the family to enjoy! It’s also a great place to mingle with the locals. 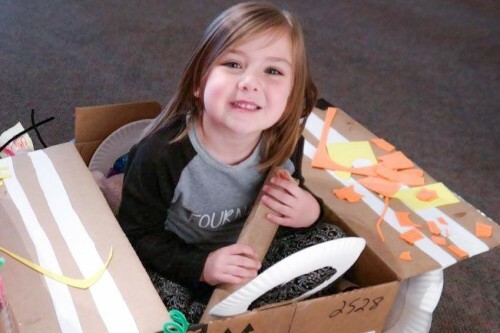 School might be out for the summer, but that doesn’t mean you can’t squeeze in a fun learning session. The Museum of Missouri Military History provides a perfect educational opportunity for kids and adults alike. Located at the Ike Skelton Training Center, this museum houses exhibits beginning from 1808, the activation date of the Missouri Militia. The museum offers impressive indoor and outdoor exhibitions, with the outdoor exhibits displaying many military vehicles and aircraft. Be sure to bring identification, as you will need to show it to the guards at the central gate. Visit the Colonel Alvin R. Lubker Memorial Safety and Education Center to discover more about the history of the Missouri Highway Patrol. 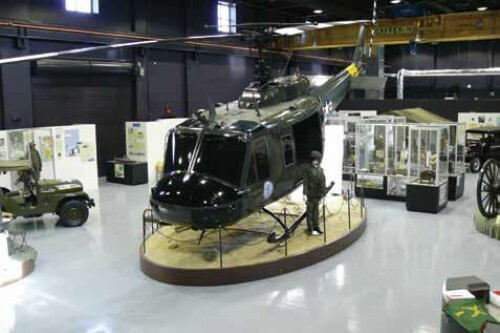 Here, visitors will see comprehensive displays of information concerning traffic safety, law enforcement, patrol cars, uniforms, weapons and other equipment dating back to the department’s inception. 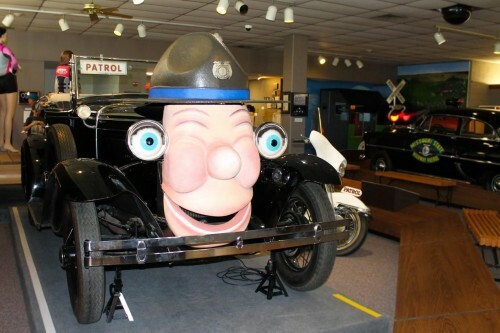 Don’t leave without seeing Otto the Talking Car, the museum’s jewel exhibition. Otto, a replica of a 1931 Model A Ford, can blink, sneeze, honk and talk. The kids will have a blast interacting with Otto while learning about the importance of road safety; he is one of the patrol’s top advocators. A perfect blend between a scavenger hunt and a puzzle, Break the Code Adventures allows players to discover clues and crack codes to escape from one of their locked rooms in less than 60 minutes. They offer three different escape experiences and change up the challenges every few months to keep you coming back for more! This is an enjoyable experience the whole gang won’t want to miss. When you walk into the Missouri State Penitentiary (MSP) Museum, you’re transported to a time when the penitentiary was at its peak. Visitors have the opportunity to learn about the famous prison that operated for 168 years and see MSP memorabilia. 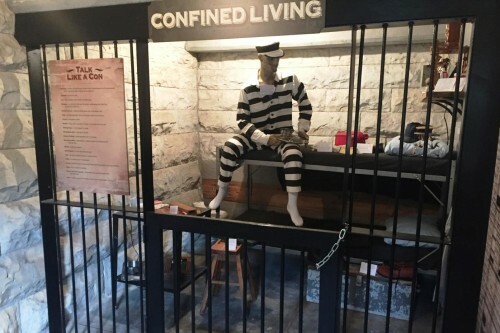 Museum exhibits include a replica cell that demonstrates what living conditions at the prison were like, various private industries that were operated behind the walls, and many of the different prison industries, along with additional significant facts about MSP. We all know it isn’t summer vacation if you don’t indulge in frozen desserts! Take a trip to YoYum’s, a vibrant self-serve frozen yogurt shop in Jefferson City’s downtown district. The store has eight flavors on tap and rotates them regularly, making for a unique visit every time you go. Don’t forget to top off your dessert with a few (or many) items from their toppings bar.